When do you think is the right time to start working on something you’re truly passionate about? When you are done with your university education? When you have gained some experience in the industry? Or NOW? Experience and education are both time consuming processes. What if you have a mind boggling idea that you know in your heart is going to work and the clock is ticking? If you don’t go after it, someone else just might see that gap, that opportunity and go for it! 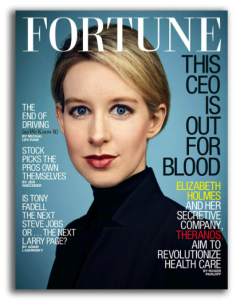 Shattered will be the dreams of you becoming the next Mark Zuckerberg or Elizabeth Holmes (America’s youngest female billionaire). A university degree is minimum 3 years in India and you can never have enough experience, never enough to GUARANTEE success. So what do you do? Start now? But that’s just easier said than done, right? Who’s going to invest in a kid with some “stupid” plan? Who’s going to put their faith in somebody who doesn’t even have “proper qualifications”? And then again overcoming the fear of failing miserably just in case you start up is in itself a daunting task! 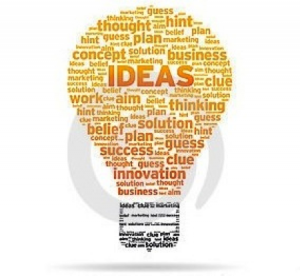 After all, ideas are easy, it’s implementation and execution that’s hard. I recently read about Nand Kishore Chaudhary, the Chairman of a social enterprise called Jaipur Rugs. A young graduate who started a business of hand knotted rugs in 1978, today he proudly stands over a company that had turnover of Rs. 104 crore in March 2013 supporting over 40,000 weavers and a business network in over 40 countries. N.K. Chaudhary came from a family that ran a traditional business of shoe making, he knew nothing about the art of weaving carpets, all he knew was that he was fascinated with this business idea. He had neither the relevant education nor the experience, yet he succeeded. Close to home, I have another example of my dad who started off with the business of making copper wire at the young age of 20, he had just graduated and had no experience in the field. Is he the number one manufacturer of copper wires and electric equipments today, you ask? NO! That venture didn’t work out for him in fact he had to work free for a long time just to get out of debt. Of course eventually he found his way in real estate business and is doing pretty well today! So you see, it’s not always wise to just be impulsive and give in the urge to go ahead with the first idea that seems like a good idea. Richard Branson, founder of the virgin group, once said, “You don’t learn to walk by following rules, you learn by doing and falling over”. Experience comes with doing and I personally feel that experience teaches you way more than conventional education. But then of course, when people’s or society’s well being is at stake, adequate education should obviously be given due credit. What I mean is just because you think medical clinics make a lot of money, you can’t open one! If you have an idea in your head that is not letting you sleep at night or it’s something that you can’t stop thinking about (under normal, sane situations) it’s probably a good idea. Do the required research, don’t necessarily go the traditional way but learn as much as you can about it from where ever you can. Don’t be careless about choosing the right way but don’t be too careful either. And like Ron Conway, an American angel investor, says, “Any time is a good time to start a company!” Until next time!